There are a variety of Miller Analogies Test vocab resources which students should become familiar with. Magoosh has a free flashcard app featuring 1000 of the most important GRE words. The vocabulary required for the GRE is essentially the same as that required for the MAT. The flashcard app can be used on a mobile device and provides an easy means of studying MAT level vocabulary wherever you go. Both the Barron’s and Kaplan MAT study guides offer a variety of vocabulary lists. These texts are particularly useful for providing lists of subject specific vocabulary such as math or biology terms that you won’t find in normal vocab lists. It’s a good idea to purchase one of these texts so that you can use the vocabulary lists to make flashcards. 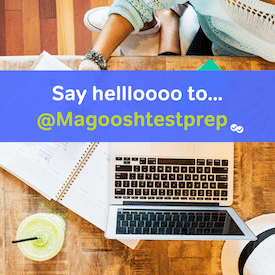 Rather than making a flash card for every term, which would be akin to copying the whole book, take a hint from the Magoosh flashcards and focus on the words you don’t know. You do not need flashcards for terms you are already sure of. Technically, these could be listed with the study guides. Both Kaplan and Barron’s have practice tests. However, there are also official practice tests (up to three) available on the Pearson website. Practice tests themselves obviously feature vocabulary. This is another place you should be looking for terms that you can make into flashcards. While flashcards are invaluable, daily reading is often the better long term strategy for vocabulary. The words you encounter in the course of reading tend to be remembered more vividly because they are connected to a richer experience. That being said, feel free to make yet more flashcards from any new words you encounter in your daily reading. All of this vocabulary work will often require the use of online dictionaries, and two really great ones are Vocabulary.com and Wordnik.com. Both sites provide additional features to help enrich your vocabulary studies so take the time to explore. Expanding your vocabulary works best as a long term goal achieved through multiple methods. While it is possible to cram several thousand words in a short period of time, it is certainly not an enjoyable experience. Moreover, “cramming” will not allow you to easily develop rich connections between terms. Something you need to do well on the MAT. Remember, the MAT is an analogy test; you need to not only memorize terms, but be able to relate them to others.